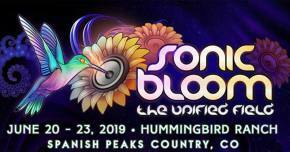 Few music festivals nowadays remember to emphasize the true spirit of music, which is bringing people together—fans and artists alike—all collaborating to have a good time and shake their bodies. Summer Camp Music Festival has been around longer than Bonnaroo for this and countless other reasons. The 16-year anniversary featured numerous sets by resident artists moe. and Umphrey’s McGee, along with other massive names such as The Roots, Thievery Corporation and Mudcrutch, a supergroup lead by Tom Petty. Another supergroup, however, stole a great deal of the spot light. 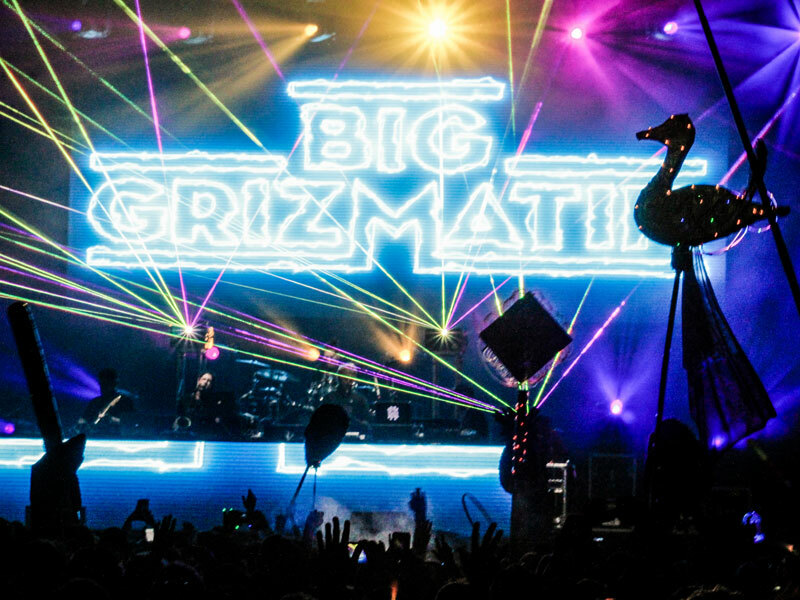 Big GrizMatik, a combination of Big Gigantic, GRiZ along with Muzzy on the guitar, and Gramatik, promised a crowd full of new age funk lovers. 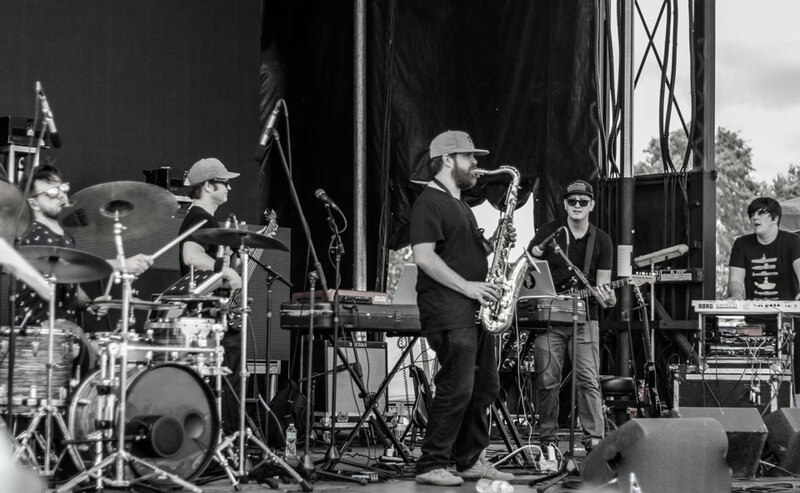 Gramatik’s label Towtemp Music was represented in full force over the weekend, from Exmag and Gibbz to Russ Liquid. All Good Records, a label created by GRiZ, was also supported by Manic Focus and Sunsquabi. With the goal of, “welcoming in new attendees each year to become a part of our giant, music-loving family,” Summer Camp truly works to connect artists with their fans. Thursday’s Pre-Party was more laidback than the weekend itself (relatively speaking), from having less festivalgoers to having less performances. Most acts on arrival day also had a performance later in the weekend, like Break Science and Manic Focus. This is another one of many brilliant things Summer Camp does with scheduling that seems to please both the guests and artists. 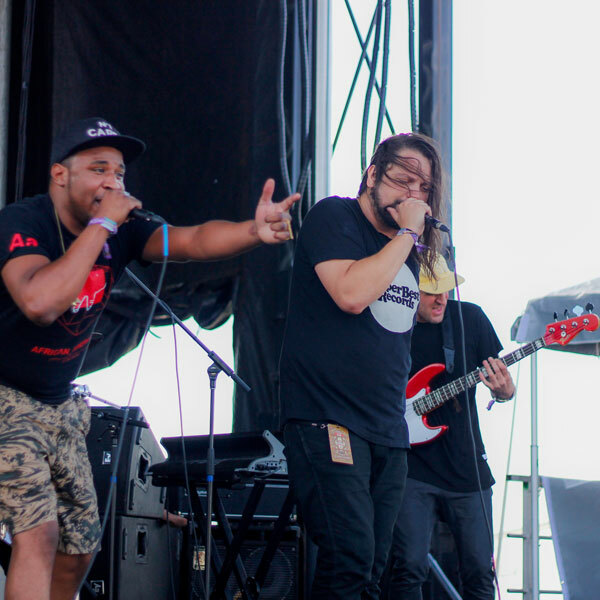 One of the first sets to officially kick off the weekend was innovative Chicago hip-hop artist ProbCause. He’s an extremely talented musician, which he showed off during performance, on top of being known as an artist in other mediums. 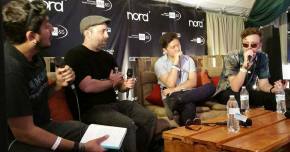 On the night of this interview, his live band went on to play the Chicago Nightlife Awards at Concord Music Hall. The band features an addition of violins, keys and trumpet to his setup, which typically is solely a drummer that doubles as production guru. A childhood friend of ProbCause who goes by the name Cofresi joins him during each live show, causing them to have more flare and a unique dynamic. Later that afternoon, The Russ Liquid Test took over the Starshine Stage. Joined by Andrew Block on guitar and Nick Mercadel on the drums, it seemed natural for Liquid leading his own version of a band on stage. There were also a couple of surprise guest vocalists and an appearance by the Nth Power bassist Mike Edgar. Pretty Lights Music duo Break Science, consisting of Borahm Lee and Adam Deitch, followed Liquid for their second performance of the weekend. As their time was nearly finished, ProbCause was brought out to perform a song written earlier that day. Break Science still wasn’t done quite yet. For their last track, both The Shady Horns and Manic Focus joined them on stage for what seemed like the ideal finale to this once in a lifetime set. The night continued with the groovy vibes of STS9, as well as a relentless set from heavy-hitter Excision to close out the Moonshine Stage. Nashville’s own Zoogma rocked out during their early afternoon set on the Starshine Stage, and were joined midway by Nicholas Gerlach from Turbo Suit. His saxophone added a unique flare to Zoogma’s already genre-defying sound. They ensured that Saturday was going to be something special. 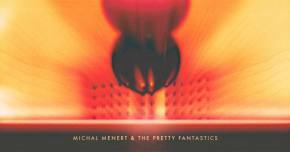 Before long it was time for Michal Menert & The Pretty Fantastics to hit the stage. Menert’s record label, Super Best Records, was represented throughout the weekend as well with artists Late Night Radio and Artifakts. Goodman reminisced on how he joined Michal Menert’s team—a profound passion for his music, great timing and a simple Facebook message. Fast-forward only a couple of years, and they have found a core group of members that fit perfectly together on the road for touring purposes. 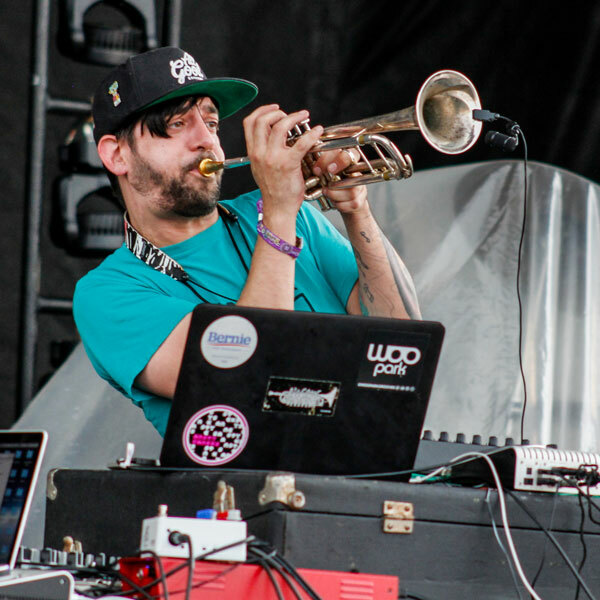 Among the core members are trumpet virtuoso Will Glazier and flute/trombone player Dan de Lisle, who together have their own project called Willdabeast also under Menert’s Super Best Records. After playing years together in a funk band (Snug Harbor), a similar series of events to Goodman’s led Glazier and de Lisle to join The Pretty Fantastics. “He just sent Will a tweet like, ‘Hey, you guys want to be apart of my band?’” de Lisle said as he laughed. It was further explained how Menert has an idea for The Pretty Fantastics to be its own entity sometime in the future, rather than having his name as a frontrunner. All of which are a testament to Menert’s personality, his tightknit fanbase and artistry as a whole. While the weather was still clear, Jason and Jordan of Cherub performed with a full band. This was an unexpected, yet satisfying twist compared to having only the duo. Classics like “Jazzercise ‘95” and of course “Doses and Mimosas” were given lively uplifts that amassed one of the bigger crowds at the Moonshine stage. Lowtemp Music act Gibbz turned the Vibe Tent into a retro disco party of sorts as well that afternoon. The Berklee College of Music trained artist not only sings but also plays guitar, keyboard and more. From the giant smile on his face to the energy felt pulsing through the crowd, it was apparent that this man loves what he does. Exmag also was in a different, yet pleasing form. Not only were they joined by Cofresi on the drums, but further instead of Mike Iannatto orchestrating on the mixers, Lowtemp labelmate Branx joined in on the fun. An appearance by T. Gaines got the Vibe Tent on their toes, as did their last track “Tilt Mode” with Gibbz, before a storm caused music to be cut off. For a couple hours, music was put on halt as a storm passed through. This cut off a couple of sets like the very end of EXMAG and a good chunk of Manic Focus. As soon as the green light was given, although it was still raining, music resumed throughout the park. 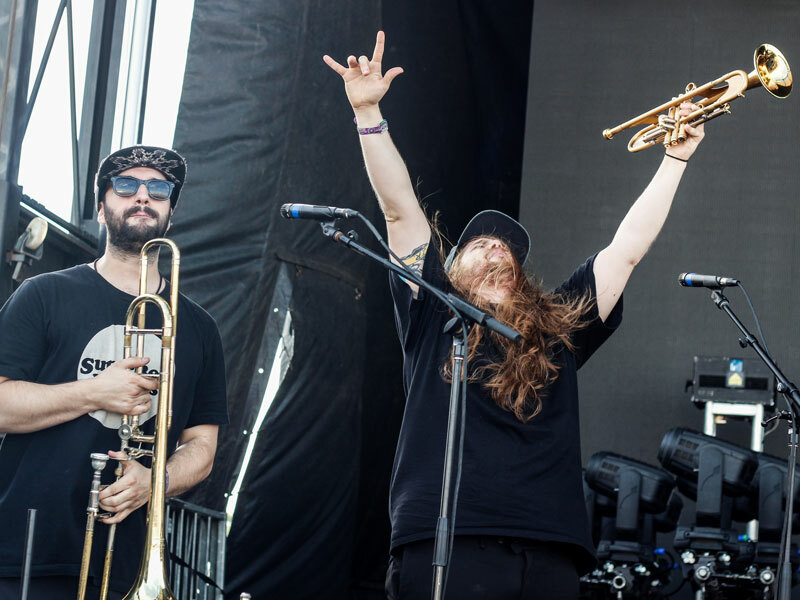 The duo from The Pretty Fantastics, Willdabeast ended up playing a renegade set in the woods following Colorado producer and saxophone player SoDown, thanks to the Grassroots California stage. Afterward, the two immediately headed to yet their third set of the day at Laser Guided Visions' vendor tent for passing Scampers. Not only did Summer Camp give these artists a stage to perform on during the day, it gave them an even bigger opportunity to get in touch and personal with their fans the rest of the weekend. “It’s all stemmed from Will just putting himself out there and his ability to promote and be that standout guy that can really lead a band,” de Lisle added. They played hours of all original music that themselves or their friends have made. Not only did de Lisle explain that they were trying new live mixing styles, but further that they were working on a new Willdabeast release and even talking about the one after that. “That was one of our learning nights for sure,” he admitted, although you couldn’t tell from the performances themselves. Kicking off the final day was a solo set from the productive futurebass producer and drummer Cofresi. He’s entertaining because you can see how much fun he having from the way he smiles and interacts with the crowd. Even when he accompanied other artists on stage over the weekend, he only matched and amped up the energy in the Vibe Tent. The Funk Hunters afternoon set had a huge turnout. They brought out SoDown to jam on the saxophone, only hyping up the set that much more. Not only does Summer Camp foster the opportunity for guest appearances on-stage, but they further create a schedule so that similar music tastes don’t have too much of an overlap. This type of crowd control assumingly is why one the final moe. performance was slotted for the same time as Big GrizMatik. When it was finally time for this funktastic supergroup to take the Sunshine stage, the sun ironically had just gone down. They would play a Big Gigantic track then flip to something new, all after dropping a GrizMatik track like “Digital Liberation is Mad Freedom.” Followed by a Gramatik joint like “It’s Just a Ride.” As if the hype surrounding Big GrizMatik wasn’t enough, they even managed to bring out George Clinton for “Give Up the Funk.” What else could make this set more perfect? A surprise Artifakts & Friends set ended with an appearance by Manic Focus and others like Jubee on stage in the Vibe Tent. The night concluded with sets from Emancipator and Protohype, who’s crowds were spread out and relaxed. Even with the expected weather trouble, this year’s Summer Camp was a nothing short of a success. After 16 years of raging the Three Sisters Park, especially considering last month’s legendary lineup, it’ll be exciting to see if they can outdo themselves once more.